Futurama finally comes back to my streaming service today. Hulu has added all of the original episodes and guess what I'm doing while I'm writing this! I have seen the original episodes more times than I can count! 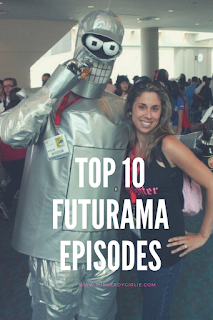 The newer episodes not as much, but maybe a couple will sneak into my top 10 favorite Futurama episodes! 10. Attack of the Killer App - This was the first episode of the new seasons that got me back on the Futurama love train. The first two were slow go, but this one hit the nail on the head and had me LOL-ing the entire time. I still love going back and watching this one. 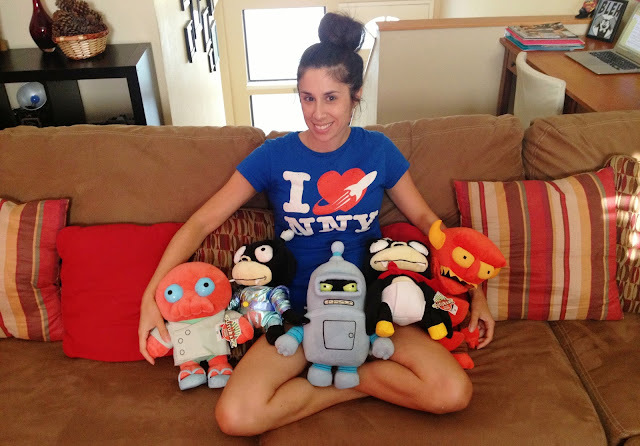 Just a sampling of my Futurama toy collection! 9. Fry and the Slurm Factory - Who doesn't love Willie Wonka? This was a fun take on the classic movie and how could you not fall in love with Slurms Mckenzie!? 8. War is the H-Word - This is one of my favorites ONLY because you get the list of Bender's most used words. love IT! 7. Teenage Mutant Leela's Hurdles - Any of the episodes with songs are great in my book. I use to even have the New Justice League's theme as my ringtone! I would also love to cosplay as Leela's alter-ego Clobberella. 6. Parasites Lost - The Magic School Bus, The Muppet Babies and now Futurama. I love a good explore the human body episode! It is also sweet that Leela begins to find her feelings for Fry. 5. The Problem with Popplers - Another good sing-a-long in this episode! The team really makes those Popplers mouth watering! 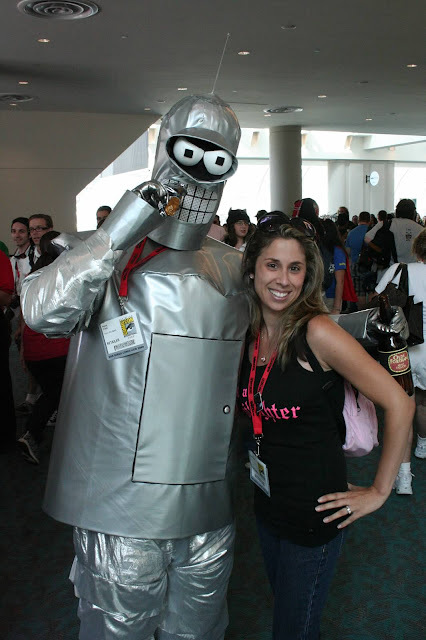 Bender & I at my very first SDCC 2009! 4. Future Stock - I really LUV the episodes that look back on Fry's live in the 80s. That Guy is hilarious and he creates one of most loved parts ever in the history of the show. When That Guy sings The Safety Dance song! 3. The Late Phillip J Fry - Time travel is one thing that really captures my attention. Another classic Futurama song is made. This my most favorite of the new episodes. 2. Three Hundred Big Boys - The tally of Fry's coffee consumption is genius! I love seeing the orange blur save the day! 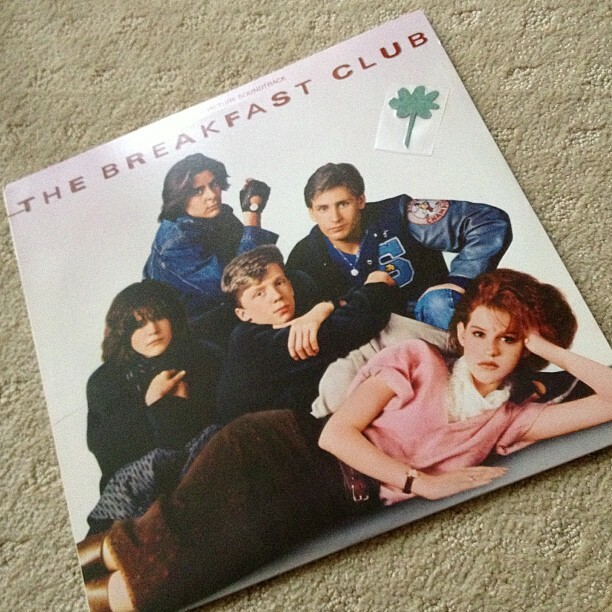 My own Breakfast Club record with my DIY 7 leaf clover! 1. The Luck of the Fryrish - Don't you forget about me! NEVER!! Futurama has been with me for a long time. It will always be my favorite show! I've laughed, I've cried and I have hung in there with them. I cannot wait to marathon all my favorites today! What episodes have been YOUR favorites??!! 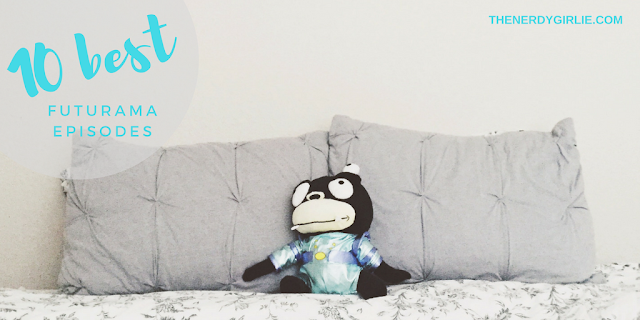 Are you going to be watching today? Great list! The Luck of the Fryrish is my favorite episode as well. Makes me bawl like a baby every time.